Enterprise customers these days are hands in gloves against the increasing amount of data and are struggling to consolidate and properly take advantage of the deluge of information. Rubbing salt on the wound is the unused storage capacity available across a customer’s data center waiting to basket the data. Storage Virtualization best answers this problem. 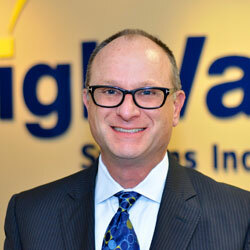 But what HighVail Systems, a Toronto, Ontario based firm provides is more than just that. Although Storage Virtualization solutions offered in the industry today fulfill basic utilization requirements, there is much ado surrounding its security, accessibility and sharing. The technology experts at HighVail help optimize the solution to best utilize the storage, providing enriched access to customers’ data. This in turn assists in its migration across systems and movement between platforms, creating single pools that can be more easily accessed and centrally managed. However, as more data is generated, archiving becomes an increasingly critical part of the overall storage solution. Multiple copies of the same data are an almost natural by-product of growth, which ultimately results in a significant increase in total storage capacity. A company can control this by restricting the proliferation of primary and archival data, ensuring more efficient utilization of their storage through various methods, including deduplication, etc. With the source of the data becoming more diverse, it is no longer just about structured information (databases for example) and as a result, it becomes all the more challenging to meet increasing compliance requirements. Symantec Solutions have been a “silver bullet” in HighVail’s offerings since the very early days of the company. “Using Symantec, we can help our clients create a more agile, flexible environment, providing their end users with services they might otherwise look for externally from party cloud provider,” says Bradley Brodkin, President and CEO, HighVail Systems. Through Symantec’s state-of-the-art security solutions, enterprise customers can be protected against threats, leveraging it for both physical and virtual systems, against attacks that are increasingly more sophisticated. HighVail uses the Information Availability Suite, which includes Storage Foundation and Cluster Server (as part of the basic HA bundle), automating the processes necessary to maintain and operate enterprise applications 24x7. They also help in automating the recovery of the same for high availability and disaster recovery. “We combine the storage foundation technology, cluster server solutions, and replication technology, to provide cost-effective, best-in-class continuous data replication, enabling rapid recovery of critical applications at remote recovery sites across any distance using inexpensive IP based networks,” he adds. All this, provides the right blend to effectively address customer needs and enable them to reuse a lot of what they already have without the need to make expensive new investments in technology. HighVail also provides a financial option that delivers platforms supporting up to thousands of virtual servers and storage volumes. The firm then bills based on capacity, usage, number of VM’s, etc. Unlike the traditional approach of simply reselling products and services, the firm provides the flexibility that a customer needs, when they need it. In the near term, HighVail is focused on strategic, controlled growth. One of those strategies is to form alliances in view of attaining greater collaborations. In addition, they look to continually focus their expertise and attention in the areas of IT infrastructure, providing advice that empowers and technology that enables. HighVail Systems delivers DATA CENTER Infrastructure, specializing in Open Source software, Storage, Cloud and Managed Solutions delivery.